LEKKER Bikes & Vedett Custom Cafe Racers. We are proud to have teamed-up with Belgium Beer brand Vedett for the Belgium market. It’s Vedett that is among the most populair beer brands in Europe and comes from the most famous Belgium beer brewery Duvel Moortgat. Together we have launched the ultimate Cafe Racer to be ridden through the picturesque streets of Antwerp. A true retro bicycle with a touch of modern day design. 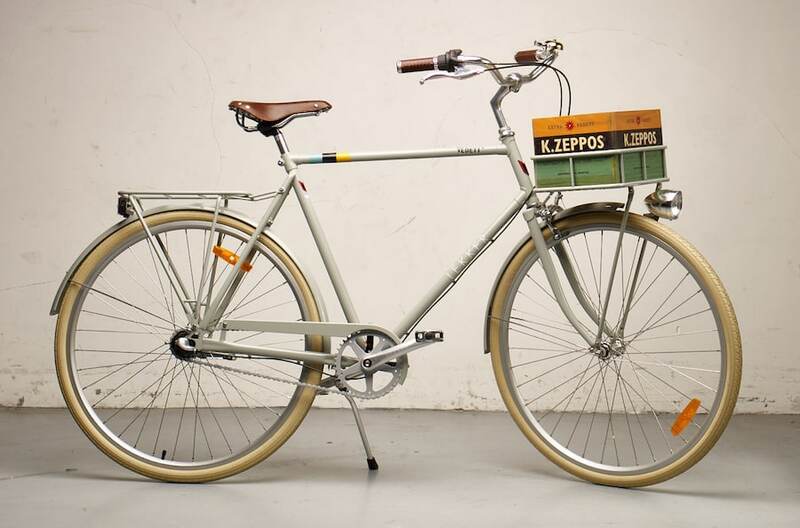 Lekker Bikes has made this special collection with the cosy beer bar K Zeppos in Antwerp. Our premium Dutch bike comes together with a custom made wooden basket and this is definitely created for the cafe racer on his commuter bicycle. The best thing about this is that your six pack Vedett beer fits perfectly in this hand made basket, a match made in heaven. Don’t wait, go on your Lekker vintage bike to your closest bar in Belgium where they serve Vedett, pick up your basket and design your own bike with our special hand made wooden basket.